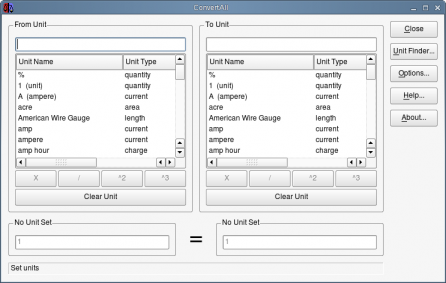 ConvertAll is a conversion program for just about any unit of measurement that you can imagine. I found a similar program many years ago for windows and I still use it at work. I would recommend everyone have this installed on something somewhere. It is in the Debian repositories. I’ve installed it on Debian(Squeeze), Ubuntu(8.04) and Mint(5 & 6).